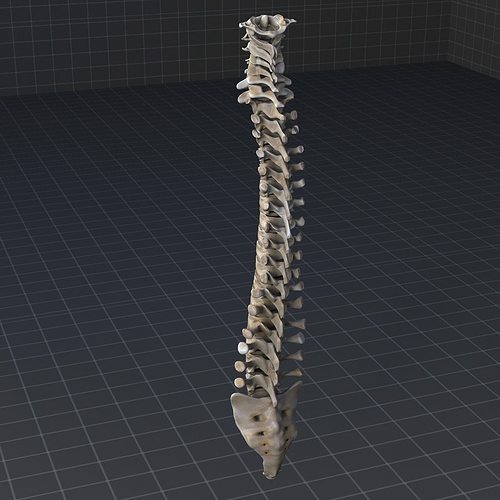 A 3d model of Human Vertebral Column Anatomy. Complete parts. Complete with color map and bump maps. This model is ready for 3d medical animation/presentation. This model is consist of different model conversions such as 3ds, max, maya, lightwave etc. This conversions can be open in any latest or old 3d software package. Vertebral column is a column usually consisting of 24 articulating vertebrae, and 9 fused vertebrae in the sacrum and the coccyx. It is situated in the dorsal aspect of the torso, separated by intervertebral discs. It houses and protects the spinal cord in its spinal canal.